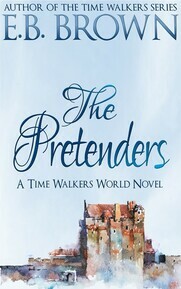 ​Trapped in 1430 with his own ancestors, suddenly everything Cormaic ever knew about his history takes on new meaning. With an obstinate woman from the future under his protection and no idea how to set things right, he must discover a way to keep them both alive - while keeping his oath of honor intact. ​Cormaic is a Time Walker, born of a bloodline infused with ancient magic. 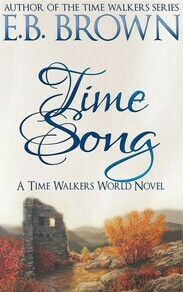 His father taught him to protect his kin at all cost, a vow Cormaic honored for all of his days – that is, until a drunken night of mourning and a foolish attempt to bend the rules of time travel send him hurtling forward in time to 2013. Jule McLachlan discovers the soused Norseman lying in her cabbage patch blabbering about traveling through time, so she dares him to prove his ridiculous claims. Soon she is kicking herself for not shooting him with her rifle as they are thrust back in time to fifteenth century Scotland. Trapped in 1430 with his own ancestors, suddenly everything Cormaic ever knew about his history takes on new meaning. With an obstinate woman from the future under his protection and no idea how to set things right, he must discover a way to keep them both alive – while keeping his oath of honor intact. Dagr Neilsson never intended to send his brother to 1435. ​When a fistfight turns magical and his younger brother is hurled through time, Dagr risks everything to bring Malcolm home. He thinks his prayers are answered by a headstrong young woman named Skye who assures him she knows exactly how the magic works, and that she can help him--for a small price. As the two Time Walkers join forces, Dagr and Skye soon realize their lives are entwined by more than just chance. Truths come out and loyalties are aligned while they fight to resist the pull of desire between them. Skye hates herself for the betrayal she will hand Dagr - and Dagr wonders if he will be strong enough to let Skye go.